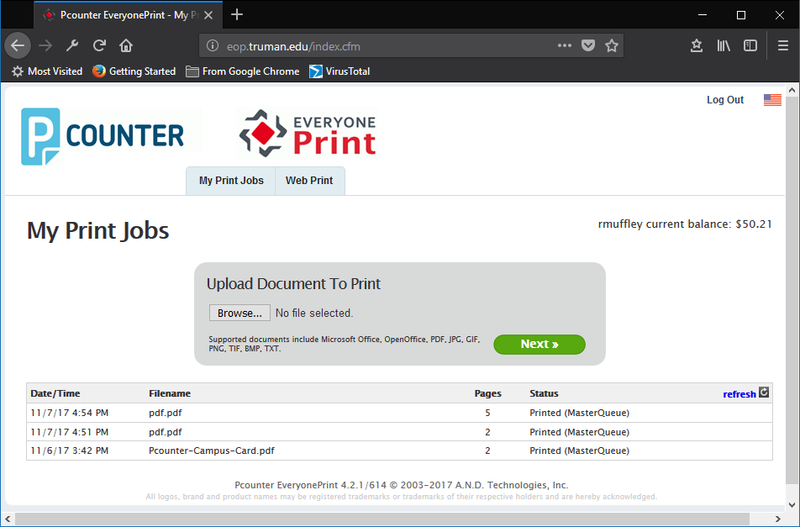 First, open a web browser, and go to “eop.truman.edu”. Once logged on, you will be shown a screen with that has 2 tabs; My Print Jobs and Web Print. The first tab is “My Print Jobs”. This is the tab that will show your print jobs. 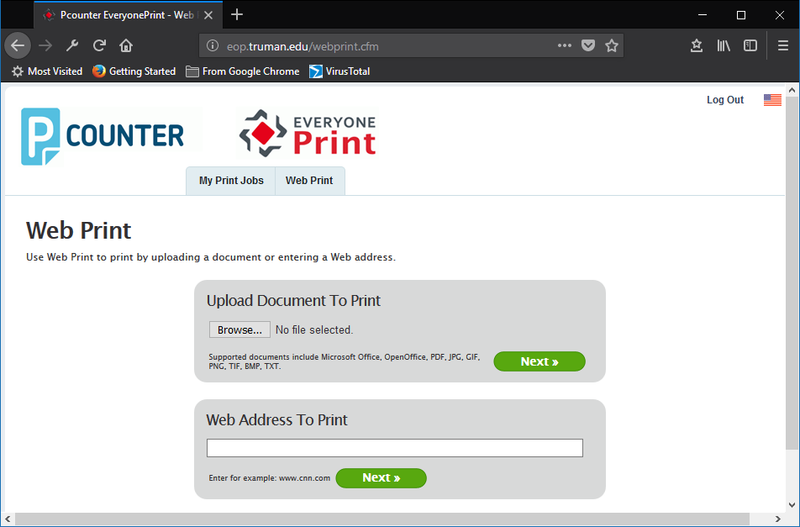 Note that this will only show your jobs submitted through Web Print, and not through any other method. Here you can customize your print job by selecting “Advanced”, and select the print device to output to. When ready, click “Print”. If a printer is attached to a Release Station, you will still need to release the job there. The second tab is Web Print. This is where you would upload and submit a document to be printed. To do so, click “Choose File” in the “Upload Document To Print” section. From here, you can select the document to upload and print. Once selected, Click “Next” and the document is uploaded and awaiting release. From here, you can also see a historical record of your print jobs submitted through Web Print. Here you can customize your job, just like in the “My Print Jobs” tab. 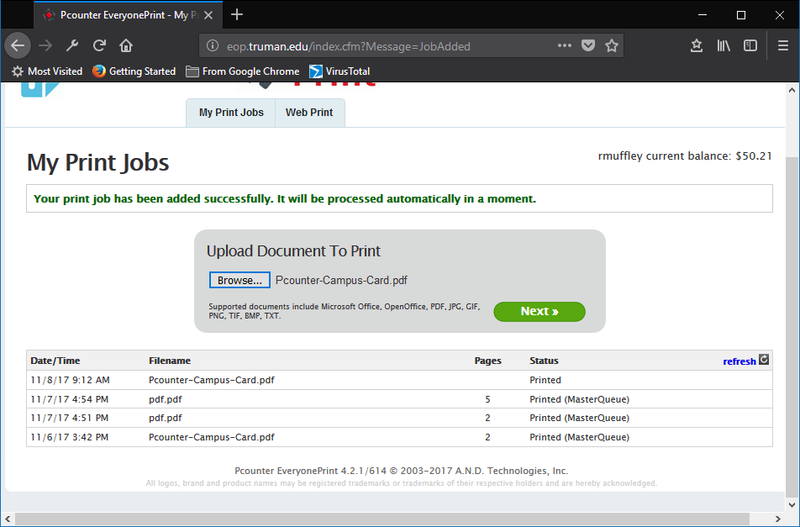 When ready, click “Print”, and your job will be printed. From the Web Print tab, you can also print directly from a webpage. 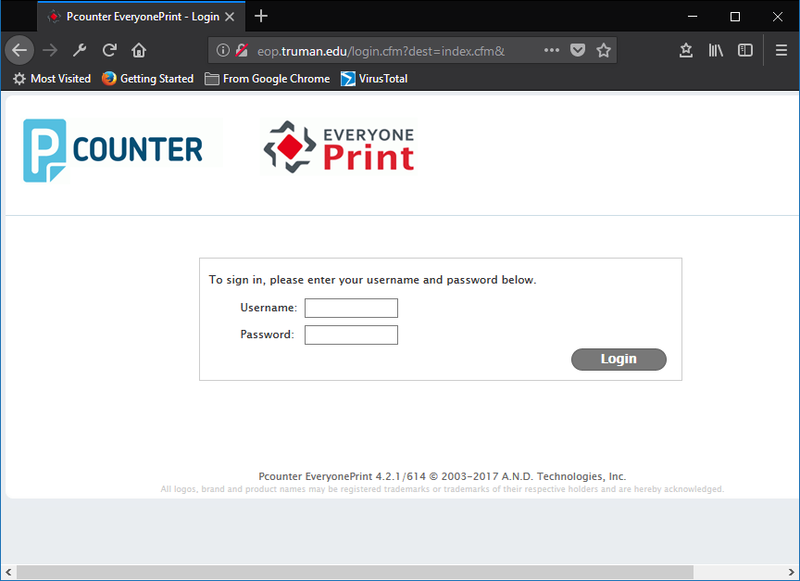 This is done by entering a URL in the “Web Address To Print” field. When entered, click “Next”. Your print job will be placed in the queue just like through uploading a document.